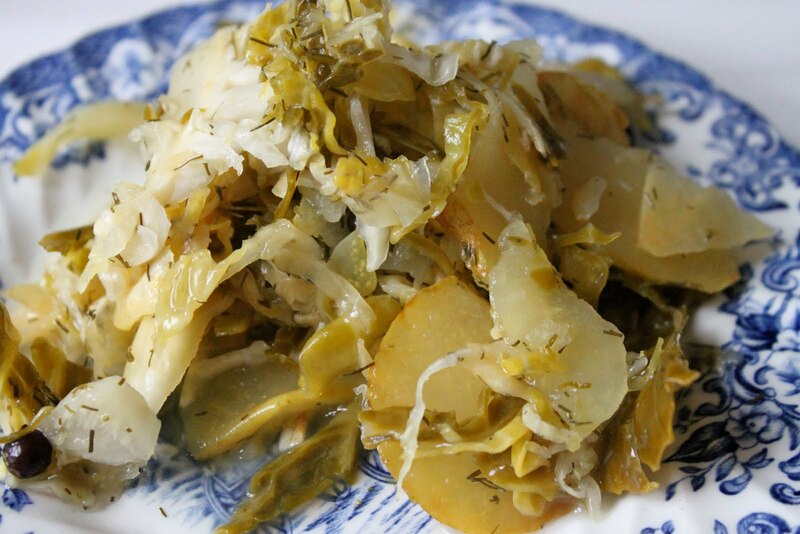 Sandor Ellix Katz writes, in his book Wild Fermentation, that Sauerkraut is good for you. All of the brassica family, cabbage, kale, ect, have anti-carcinogenic properties. The health benefits of fermentation are known all over the world: the Japanese macrobiotic diet encourages one to eat pickles, for it aids digestion. 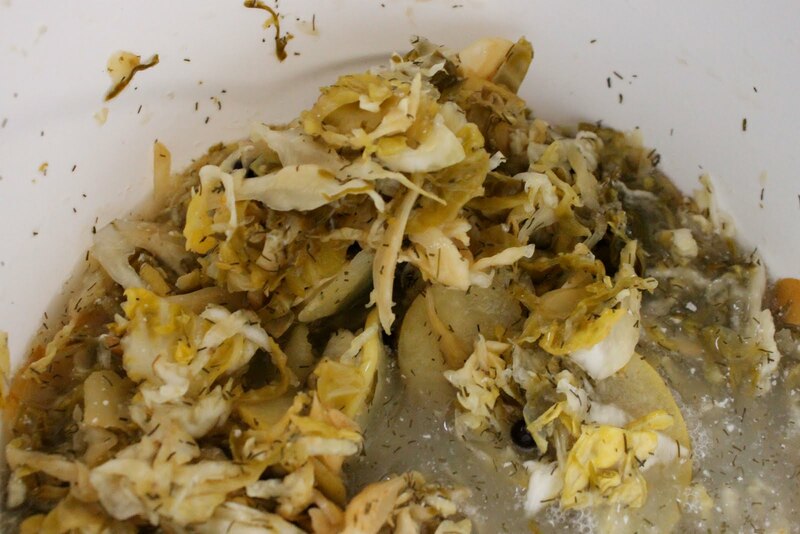 In Eastern Europe, cabbage is fermented whole in barrels. Kimchi is a Korean version of sauerkraut. 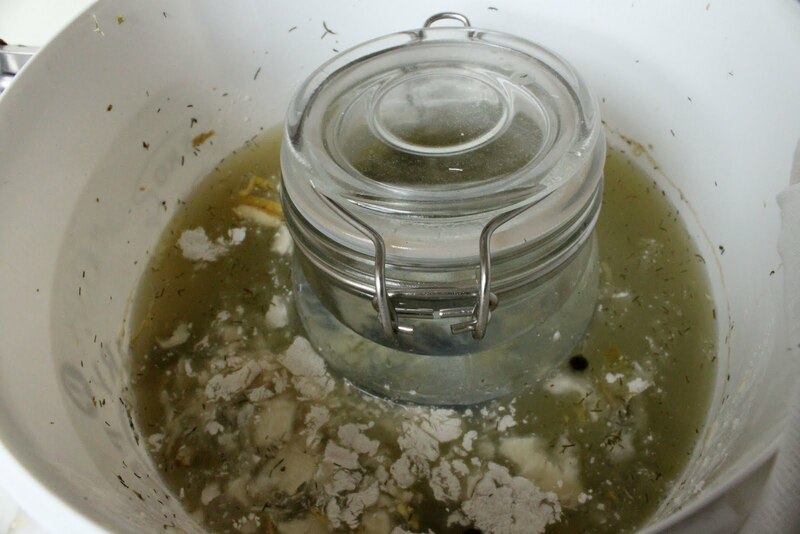 You can ferment most foods and salt is the key ingredient that prevents them from rotting. Sandor is an interesting character, he lives in a ‘radical faerie’ commune in Tennessee. Radical Faeries sprang from (flew out?) of the Gay Rights movement in the 70s. They are anti-establishment, and reject ‘hetero-imitation’. Sandor, who is HIV positive, is a leading light in the US Underground food movement. Grate your cabbage, I did this in a food processor, putting it in a bowl. Sprinkle salt on the cabbage, in a proportion of 3 tablespoons to 2 kilos of cabbage. I added finely sliced apples, dill seeds, Juniper berries. You can use whatever you like as flavouring, garlic, onion, seaweed, carrot, Brussel sprouts, beets, burdock roots. There are no rules. Mix all your chosen ingredients together and pack into a pottery crock or food grade plastic tube. Find a plate or lid that fits inside your container and weigh it down. (I used a sealed jar filled with water). The weight should force water out of the cabbage and keep it submerged in the brine. Cover the top of the container with a piece of cheesecloth. Every few hours press down on the weight. Sandor says you should have water eventually rising above the cover. I didn’t so I added enough water after a day to cover the plate. I left this for four weeks next to the Aga. Every few days I’d check that the volume of the kraut was reducing and I’d taste. It was zingy and alive tasting. A ‘bloom’ formed on the top which I merely scooped off. This is just the contact with the air, the actual sauerkraut is protected by the brine. Guests have come into the kitchen and I’ve asked them to taste it. One guy, who didn’t even like sauerkraut, loved it. This weekend I heat-treated the sauerkraut, sealing it in a jar in boiling water. It will last longer but I preferred the non heat treated version. 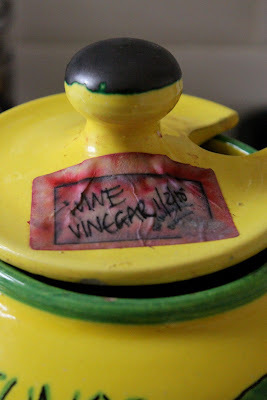 Another experiment I’ve been carrying out is making my own red wine vinegar. Often at the end of an evening, I have wine dregs left over in glasses and bottles. It seems a shame to waste it. I hear some of you say, drink it! But sometimes, by the day after, it had gone a little vinegary. I used a large pottery crock, pouring the odds and ends into it. You need a container with a wide surface, this will encourage the aerobic fermentation process. Then came the quest to find ‘mother’ of vinegar. You know that sludgy stuff at the bottom of a vinegar bottle. 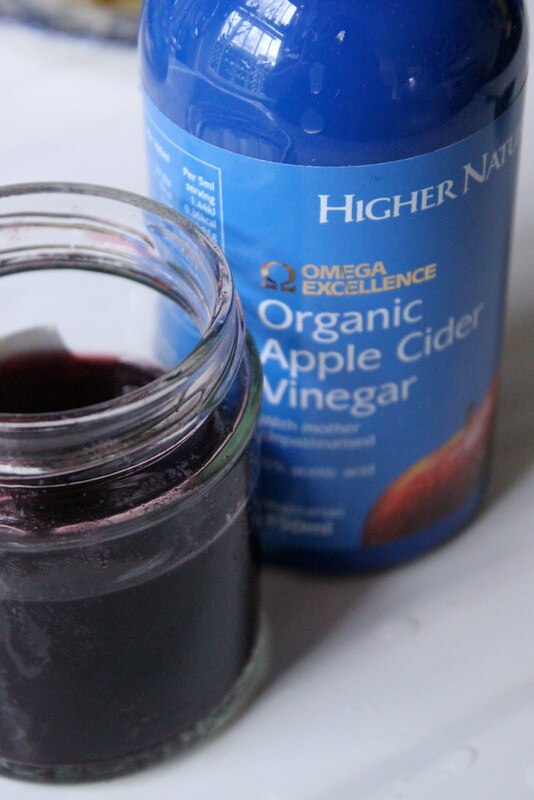 Don’t chuck it, keep it, it will ‘start’ your vinegar. Unfortunately I didn’t have any, so I searched high and low, asked on Twitter, for where to buy some. Eventually I came across some Apple Cider vinegar, with ‘mother’ sold in Wholefoods, Kensington. It was expensive, around £8 a bottle, but I figure I can use it for several batches. I tipped 100ml of this ‘mother’ vinegar into my 2 litre wine crock. I left it next to the Aga, covered with a cheesecloth, for two months at which point it started to develop the classic wine vinegar smell. I’m going to sell the result in bottles. It has a subtler flavour than commercially sold wine vinegar. Very adventurous… think I'd choose the vinegar over the sauerkraut though! I tried to do vinegar – got the proper bottle in a hardware store in florence, got a mother from an italian mamma, but … first, not much leftover wine in my house, and second, it never really turned. Would love to try again!! Will have to have a look at WF. Jilll: I think you need mother! One trick my aunt showed me to make cabbage nice and tender: Punch it! Put grated cabbage in a large bowl and then just punch and massage it with your fists until it is tender. Works great for coleslaw as well (which is prepared with oil, vinegar and again, caraway seeds, in south Germany, no mayonnaise, quite healthy actually). What an interesting comment Sam…will punch the next batch…will get rid of some anger simultaneously! that's interesting, I love all this kind of stuff, I don't think I've ever come across something fermented or pickled I didn't love eating. Mind you, I've never tried that fermented shark thing they do in Iceland. I was making kimchi with Savoy cabbages over the winter for the same reason as you here – so many of the damn things in my veggie box! It's not as time-consuming to make as sauerkraut, recipe's on my blog if you're interested. Would like to make kimchi too…will check out your recipe Jones. With my EX being French it used to be the norm to have our own red wine vinegar at home. Excellent taste and very good for getting rid of leftover wine. Thanks for the reminder!